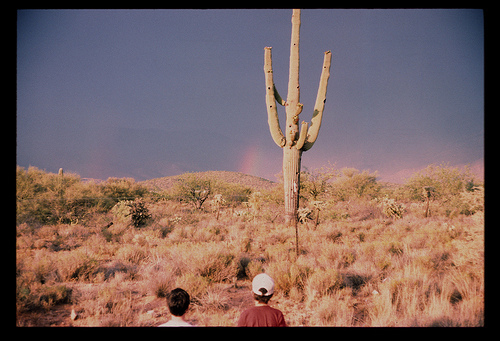 Our heads and the catctus and the rainbow. I sort of like the two little heads. So this is when you and Timmy crossed the border and immigrated to Arizona!? That is magical. That fence looks way to easy to hop. Is it me or is that cactus giving you The Finger?